Dr. Noble is a Medical Microbiologist and Internal Medicine specialist by training with more than 30 years of experience. He has been an Infectious Diseases physician, an Infection Control physician, a Laboratory Specialist, and a researcher at various times throughout his career. He is a Professor at the University of British Columbia, Department of Pathology and Laboratory Medicine.He has also been actively involved in medical laboratory quality management issues for almost 25 years. Dr. Noble took over the stewardship of the University of British Columbia Clinical Microbiology Proficiency Testing (CMPT) program in 1983, when it was a small regional program for the southwest corner of British Columbia, and developed into a cross-Canada program with international outreach. CMPT is the only medical laboratory proficiency testing program in North America to have been successfully registered to ISO 9001:2015 for its quality management system.In 2001, Dr. Noble developed the Program Office for Laboratory Quality Management (POLQM) to function as a companion program to CMPT to broaden the scope of both in terms of research and education opportunities. The “Program Office” has been successfully engaged in national and international research in laboratory quality management.Through these two programs, Dr. Noble activities have included working with the Centers for Disease Control and Prevention (Atlanta), the International Organization for Standardization (ISO), the Standards Council of Canada, the Canadian Standards Association, the Caribbean Epidemiology Centre (CAREC), the Clinical and Laboratory Standards Institute, and the World Health Organization. 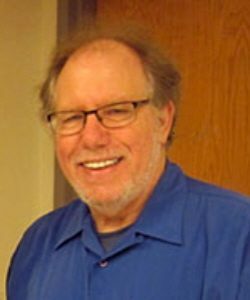 Dr. Noble is currently acting as the Senior Technical Advisor for the CLSI cooperative partnership in the President’s Emergency Program for AIDS Relief (PEPFAR) in Tanzania. He is the current Chair of the Canadian Advisory Committee for ISO Technical Committee 212, and serves in the Working Group 1, the developer of the newly established international standard for medical laboratories (ISO 15189:2012 – Medical Laboratories – Requirements for Quality and Competence). ART, MBA, FCSMLS(D), President of QSE Consulting Inc.
Sheila Woodcock is President of QSE Consulting Inc. She is a senior executive with more than 30 years experience in health care, education, professional regulation and consulting. QSE Consulting was established ten years ago and provides consulting in quality, standards and education. Sheila obtained her MBA through the University of Toronto Executive Program and was awarded a Distinguished Fellowship by the Canadian Society for Medical Laboratory Science in 2005. Sheila has authored papers and articles on quality management and continues to be actively involved in the development of the CLSI series of quality systems documents. Her professional volunteer activities include serving as the Chair of the Ontario Laboratory Accreditation Advisory Panel 2001-2003 and as the Chair of the CLSI Area Committee on Quality Systems and Laboratory Practices 2002 – 2008. 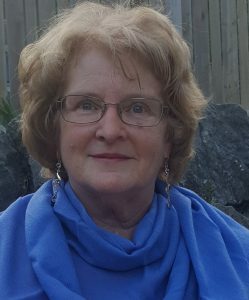 Currently the Chair of the Canadian Standards Association (CSA) Technical Committee on Medical Laboratory Quality Systems, Sheila is a member of the Canadian delegation to the ISO TC212 and a member of WG1 Quality and Competence in the Medical Laboratory. 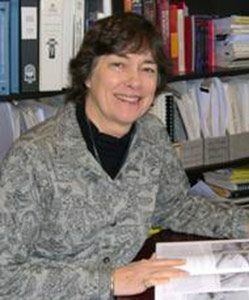 Her consulting projects include working with hospital and private laboratories to prepare for accreditation; facilitating implementation of quality management systems in all British Columbia hospital laboratories; conducting a third party review of a proposed regional laboratory corporation’s business case to determine the validity of the service delivery model projections; and working with laboratories in Mali and Tanzania to improve competence and quality in anticipation of accreditation. Diane Roscoe, MD, FRCPC Medical Microbiology, and ABIM Internal Medicine and Infectious Diseases, is Division Head, Medical Microbiology and Infection Control, Vancouver General Hospital, Discipline Lead, Medical Microbiology, Vancouver Coastal Regional Laboratory, and Clinical Professor, University of British Columbia. She is a member of the Clinical Microbiology Proficiency Testing (CMPT) Bacteriology Committee and represents AMMI Canada on the Canadian Standards Association Technical Committee (CSA TC) Z 252, the National Committee for Medical Laboratory Quality Systems. Diane is a member of Working Group 4 of ISO TC 212 on Antimicrobial Susceptibility Testing. 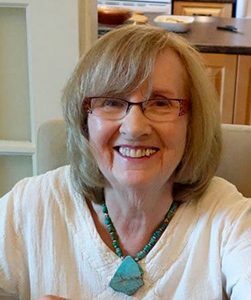 She has served in the past as a member and Co-Chair of the Microbiology Working Group of the Diagnostic Accreditation Program (DAP), the body responsible for the accreditation of laboratories in British Columbia. Susan Thomas holds a Master of Arts in Leadership and an ART in Clinical Chemistry. A strong personal interest in patient safety and she has conducted research on patient safety culture in the context of the medical laboratory.Susan is the Clinical Laboratory Manager at Royal Columbian Hospital and has held a number of senior positions in her career including the position of Director of Quality, Provincial Health Services Authority Laboratory Services. Susan worked with the Diagnostic Accreditation Program as Leader, Pathology Division and has spent many years in senior management roles in both the private and public medical laboratory sectors. Dr. Romina Reyes, MSc, MD, FRCPC, Medical Microbiologist, is the Discipline Head of the Medical Microbiology department and Deputy Medical Director at LifeLabs Medical Laboratory Services. 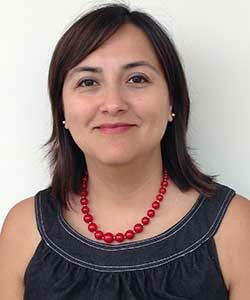 She is also a Clinical Assistant Professor with the UBC Faculty of Medicine Department of Pathology and Laboratory Medicine.Romina has been actively involved in the UBC Medical School curriculum and teaching first year medical students in the Infectious Diseases/Medical Microbiology session. She is also involved in the teaching of the Medical Microbiology Residents at UBC.Romina completed the Certificate Course in Laboratory Quality Management from the Faculty of Medicine, UBC during the end of her residency training and uses the practical knowledge from this course in the day to day management of the laboratory. She looks forward to actively participating in the course and facilitating active discussion and learning in the vital and exciting field of laboratory quality management.